The farm and open farm tractor and truck pull sign-up and weigh in lower arena is from 10 to 2 p.m with the pull beginning at 2 p.m.; X-Caliber Pulling begins at 7 p.m. Admission to the lower area arena tractor/truck pull will be $12.00 for adults and $6 for children ages 6 – 12. Photos taken by Terri Scheer via iPhone. Click here to see her other picture. If you look closely you can see 2 rainbows in the picture below. Great photos Terri. Pictured to far left is Dustin Frankie. Friday night’s tractor pull at the Franklin County Fair in Union, Mo was more than just another tractor pull for one individual. The New Haven Community Youth Fair Committe is looking for anyone who would like to volunteer for the 3 on 3 baskeball tournament. Volunteers are needed to officiate games and help keep score. If you would like to volunteer please contact Jason Nixon at (573) 680-3181. The second annual Backyard Barbecue Competition of the New Haven Community Youth Fair will begin on Saturday, July 16th. The event will be sponsored this year by Missouri Eagle, Ozark National Life, and Wal-mart. Entry fee is $10 for any and all divisions. Registration for the Barbecue Competition will be held from 8 to 9 a.m.
Division 1 entries will include Pork Steaks. Division 2 will include Pork Ribs. Division 2 will include hot wings bragging rights. An excessive heat warning remains in effect throughout the day. Several fun and exciting events will take place the first night of the fair this Friday. First the poultry, rabbit, goat, and sheep show will begin at 3p.m. The bucket calf show will begin at 6:30 followed by the swine show. All will take place in the livestock area of the fair. QuickNewHavenNews has signed a long-term contract with Missouri News Horizon to deliver important news from the Missouri State Capital and continue brinning local news you want covered. No news site in Franklin County delivers daily or real-time breaking news coverage from our state government, until now. 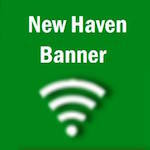 The New Haven Police Department recently hired a new officer. Rob Joyce will be working part-time for the department. Click here to read more. Joyce is from Marthasville, Mo where he has lived for the past 28 years. He chose to get into law enforcement to help people in whatever way he can. The New Haven Police Department is happy to welcome Joyce to the force and the New Haven Community. This afternoon was the first Beer Fest, which Steve Crider hopes to become an annual event. Crider is the owner of 2nd Shift Brewery and host of this afternoon's Beer Fest.